The Milky Way of the southern hemisphere contains some astonishing deep-sky sights. The lead image above shows the section of the Milky Way that extends farthest south, and so is visible only from tropical latitudes in the north and, of course, from the southern hemisphere. I shot these images this past week in Australia. 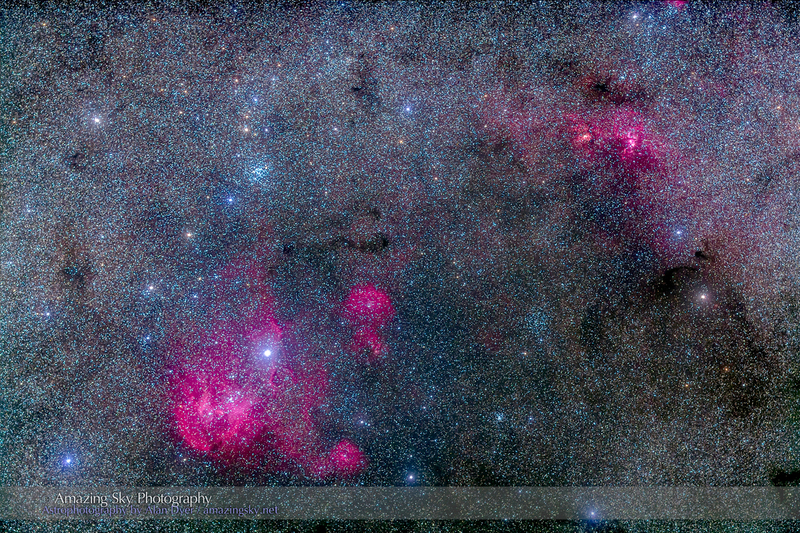 The wide-angle image above takes in the southern Milky Way from Vela, at right, to Centaurus, at left. 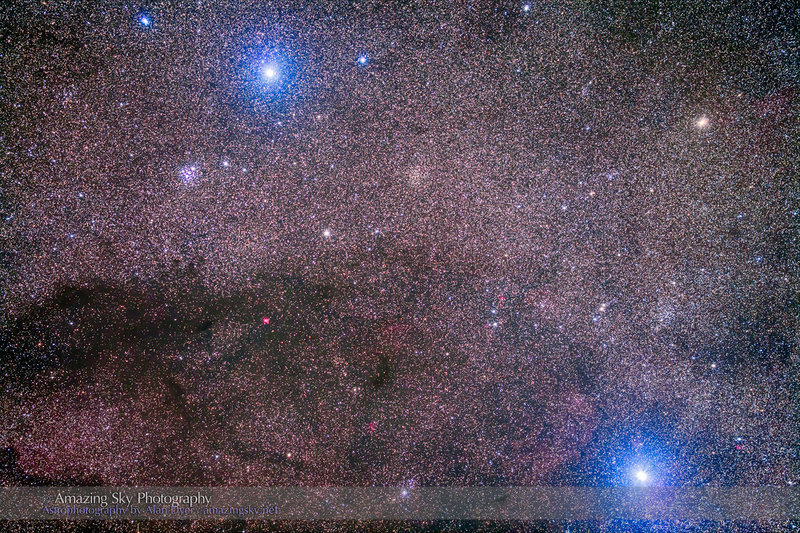 In the middle is the Southern Cross (left of centre), the Carina Nebula complex and surrounding clusters, and the False Cross at right of frame. The close-ups below zoom into selected regions of this area of the Milky Way. 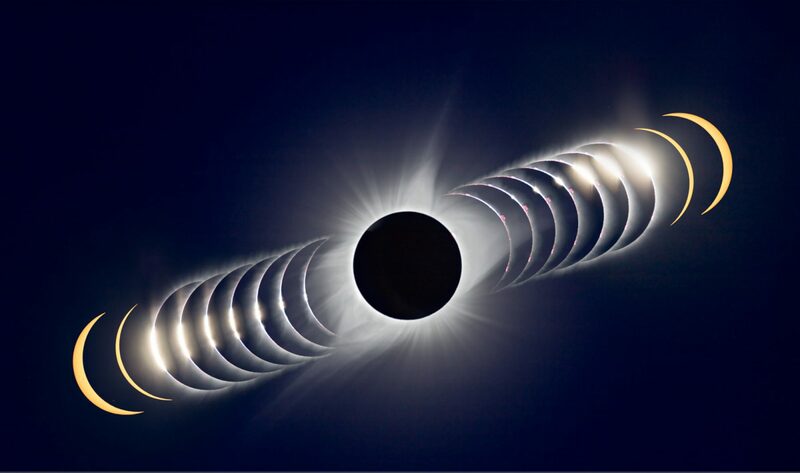 All are spectacular sights in binoculars or any telescope. 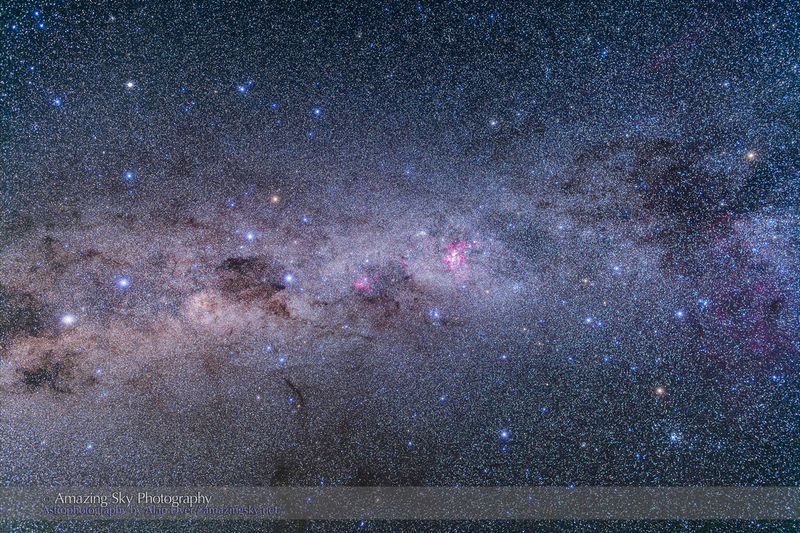 This image frames the left side of Crux, the Southern Cross. The bright stars are Becrux (top) and Acrux (bottom). Just below Becrux is the compact and brilliant Jewel Box cluster, aka NGC 4755. Below it are the dark clouds of the Coal Sack, which in photos breaks up into discrete segments and patches. This region is a favourite of mine for images and for visual scanning in any telescope. The large nebula is the Lambda Centauri complex, also labelled the Running Chicken Nebula. Can you see its outline? Above it is the beautiful Pearl Cluster, aka NGC 3766. This is the standout object in the deep south – the Carina Nebula complex. I’ve shot this many times before but this is my best take on it. At upper left is the Football Cluster, NGC 3532, while at upper right is the Gem Cluster, NGC 3293. Seeing this area in person is worth the trip to the southern hemisphere. 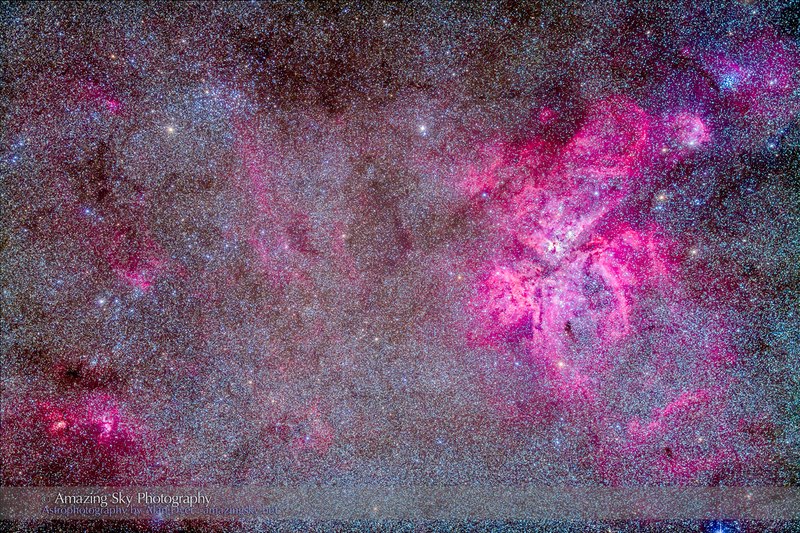 There are now many photographers up north who have shot marvellous images of Carina but using robotic telescopes. They have never actually seen the object for themselves. They print the images upside down or sideways, a sign of their detachment from the real sky. You have to stand under the southern stars to really appreciate the magnificence of the Milky Way. All else is just data taking. Thanks again for sharing them great images!! !